Designed to carry delicate or heavy objects such as pianos, works of art, safes, vending machines, photocopiers and refrigerators for example up and down stairs, on ramps or slides. *The Horizontal and Vertical models perform also a fifth movement: ie the movement of the platform in a horizontal or vertical direction. The integrated control system of PIANOPLAN offers the operator maximum maneuverability of the stair climber in all directions simply and in perfect safety. In transport mode, everything is always under control. are 1 or 2 people sufficient for jobs that otherwise would require 4 or 5 operators with cost and time savings. safety level is independent from the shape and weight of the load to be transported. An electromagnetic brake continuously assists the operator. 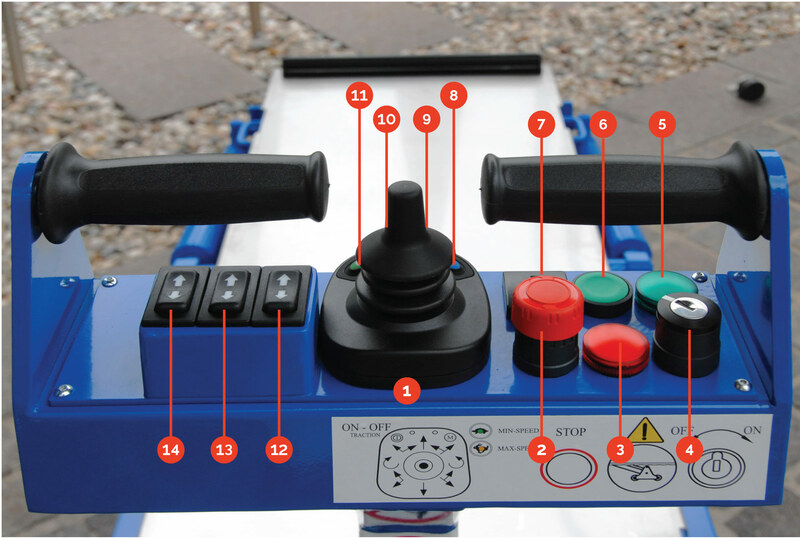 the commands are placed on the control console, and the operation of the tracks is controlled by an electronic potentiometer joystick which allow delicate and precise movements. 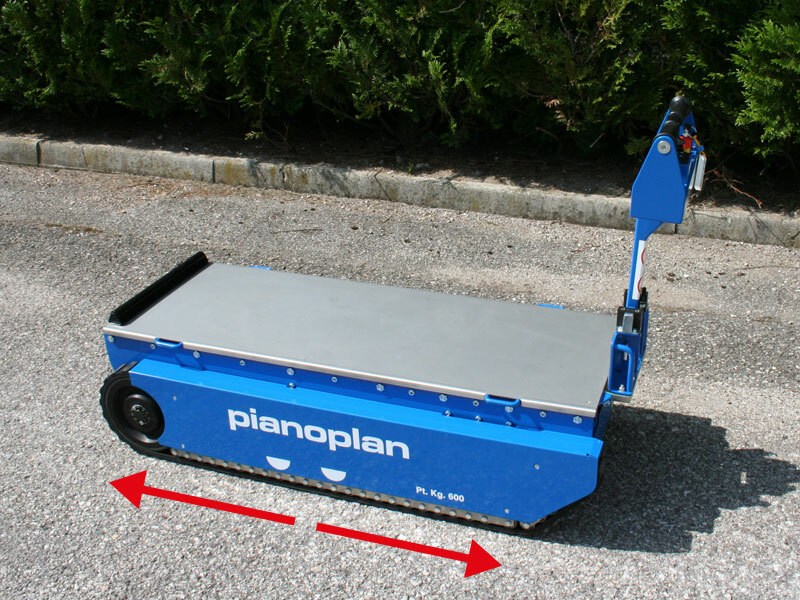 thanks to its small size and its elevation system of rollers, PIANOPLAN can rotate in very small spaces (85 cm/min). its energy is provided by two powerful batteries that provide a range of about 50 flights of stairs. Pianoplan avoids physical exertion, lumbago (back pain), and other fatiguing movements. All 3 models have the same common features: 600 kg loading capacity, protected handle and easily accessible functions, commands with proportional manipulator, reclining helm, hydraulic lift equipped with rollers, independent tracks for curvature, surmountable gradient of 45°. Transporting pianos, work for which PIANOPLAN was invented, can be done with all three models: the final choice will depend on where the piano has to be placed. What differentiates the three models is the loading mode. 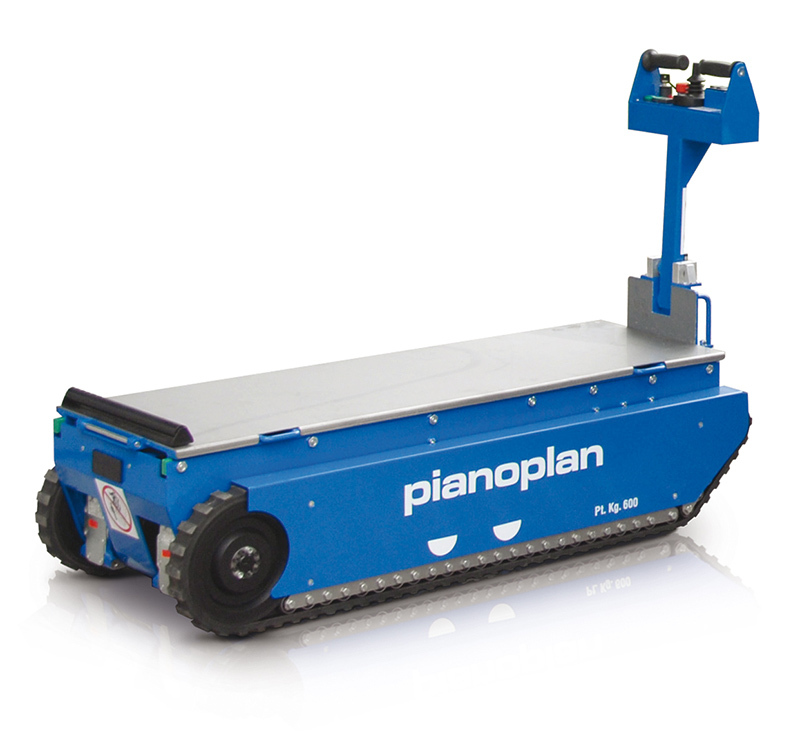 PIANOPLAN STANDARD is suitable for the transport of all types of objects. Main features: 600 kg loading capacity, protected handle and easily accessible functions, commands with proportional manipulator, reclining helm, hydraulic lift equipped with rollers, independent tracks for curvature, surmountable gradient of 45°. 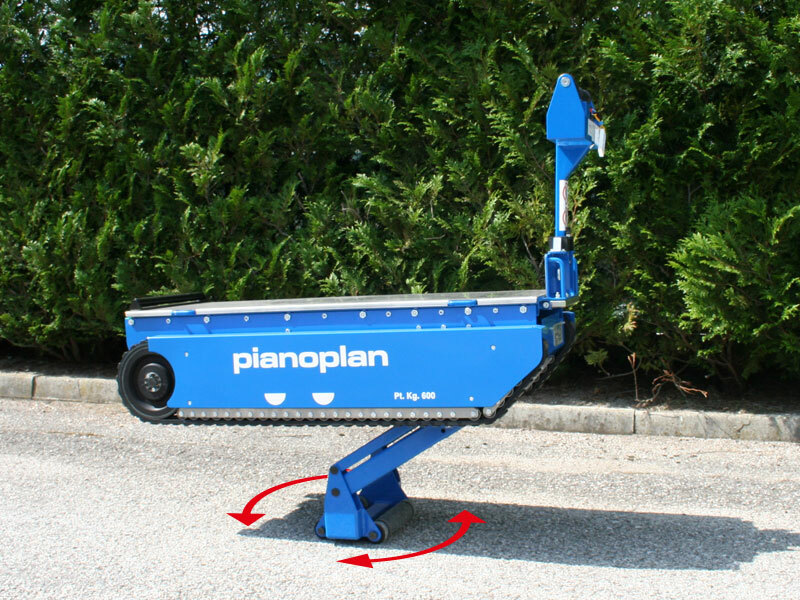 PIANOPLAN HORIZONTAL has been designed to facilitate anchoring, the loading and transport of certain types of material, or to facilitate their storage. It is ideal for the transport of objects to horizontal dimensions, such as grand pianos, printers, photocopiers, and for all types of objects that need to maintain a horizontal position. 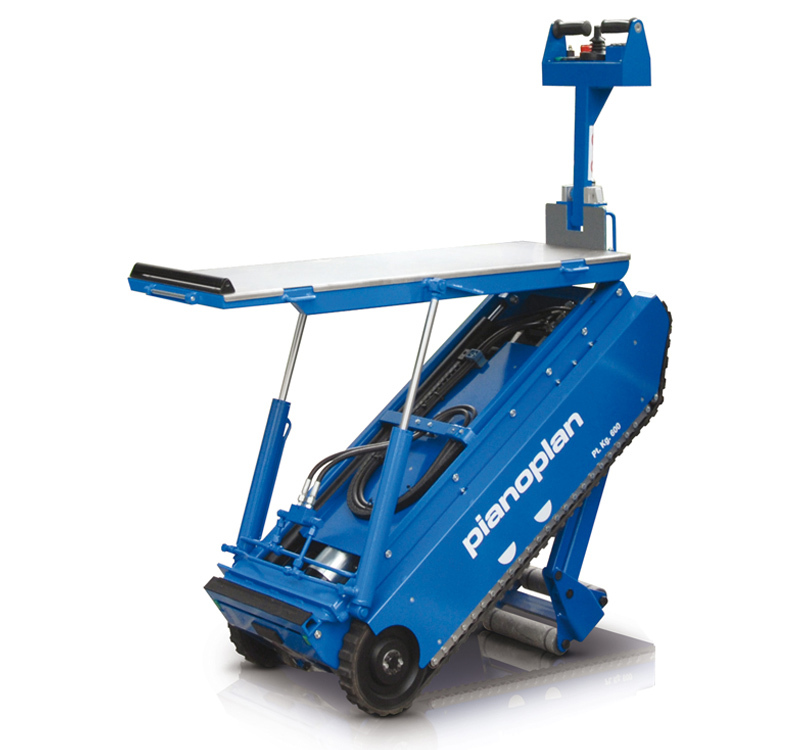 For example, to transport a photocopier, that requires to be kept in a horizontal position to prevent fluid loss, the model PIANOPLAN HORIZONTAL facilitates the loading and carriage in the correct position. Or, to deposit a piano from the ground level on a mezzanine level, as a stage, PIANOPLAN HORIZONTAL is perfect. 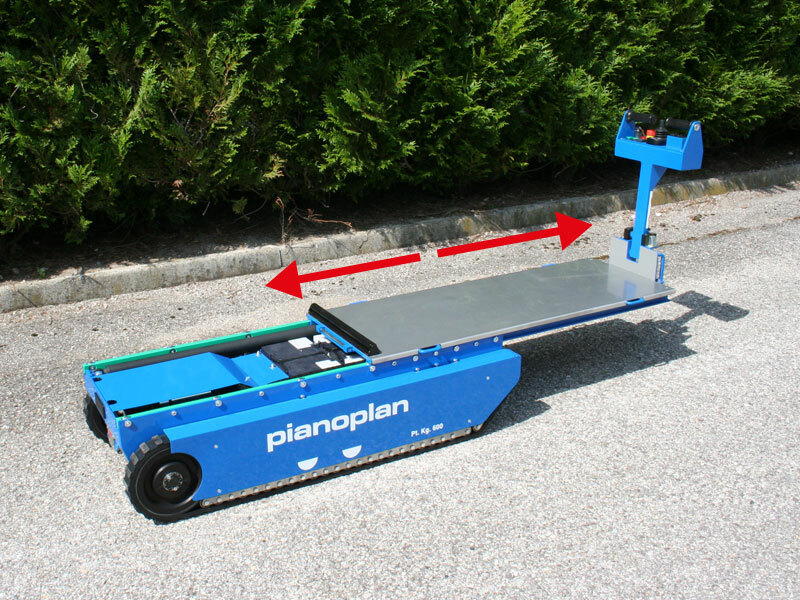 Main features: same as Pianoplan Standard, plus a horizontal movable platform to allow the transport of objects while maintaining a horizontal position. PIANOPLAN VERTICAL has been designed to facilitate anchoring, the loading and transport of certain types of material, or to facilitate their storage. For example, having to carry a bulky object with vertical development as a refrigerator, PIANOPLAN VERTICAL allows the anchor object in the vertical position and then the carriage in an inclined position. Thanks to the stabilizers, all the work is carried out in complete safety. Main features: same as Pianoplan Standard, plus a vertical platform to allow the anchoring of objects in vertical position, their transport and their storage returning them to the initial position. 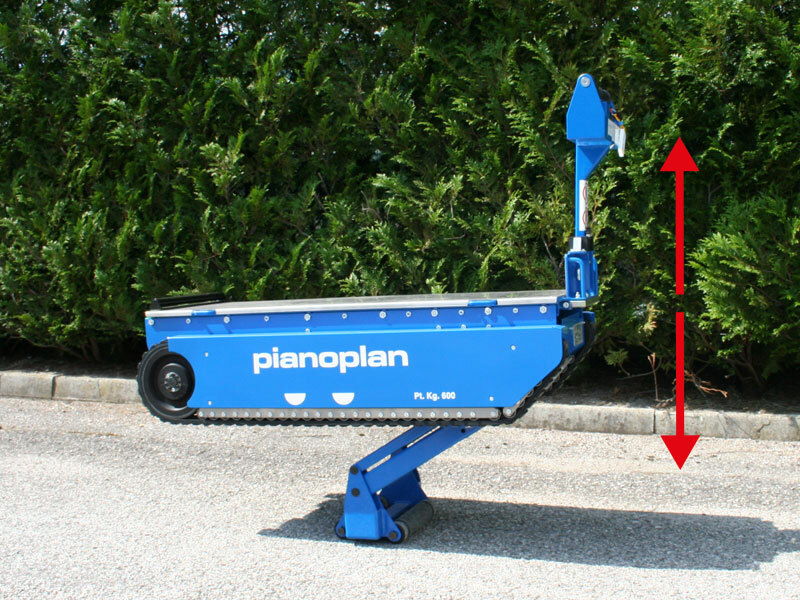 Some years ago, while I was working in Lugano (CH), I saw a local company involved in a piano moving with PIANOPLAN. Immediately, when I saw it in action, I’ve understood that PIANOPLAN would have become my ideal ally at work. Since manpower is really expensive in Switzerland, PIANOPLAN is the perfect instrument because it allows to carry out certain jobs alone, with the only help of the machine. Therefore it is very safe and very easy to use. To me it’s all about safety, reducing risk, and then increasing production. PIANOPLAN does all that and more. When workers are lifting and carrying assorted weights, they get tired, and sometimes are more prone to be hurt. They rush because they have another job, they have due dates and try too hard to hurry. The traditional use is for Pianos and the rough terrain they have to maneuver in getting from and to their desired location and that is certainly correct. It’s not always just stairs. We are finding the unit is great for varied construction companies for moving slabs of marble, panels for walls or ceilings, ceiling tiles, air conditioning units. Then for appliance stores and centers that have to move refrigerators, stoves, freezers, ranges, cook tops. Another use is furniture companies with box springs and mattresses, end tables, wardrobe chests, armories, hope chests and more. I deal with transportation and removals for many years, also with heavy and bulky objects. Some time ago I started to find look for interesting solutions for stairs climbing. In 2008 I saw for the first time a PIANOPLAN in action. Then in 2009 I bought my first PIANOPLAN and since then I have not had to deal with hand transport of pianos, safes and other heavy materials on stairs. Our fist purchase was for a PIANOPLAN VERTICAL, the we bought a HORIZONTAL and the last was a STANDARD. With all the range we are able to perform any kind of transport on stairs. 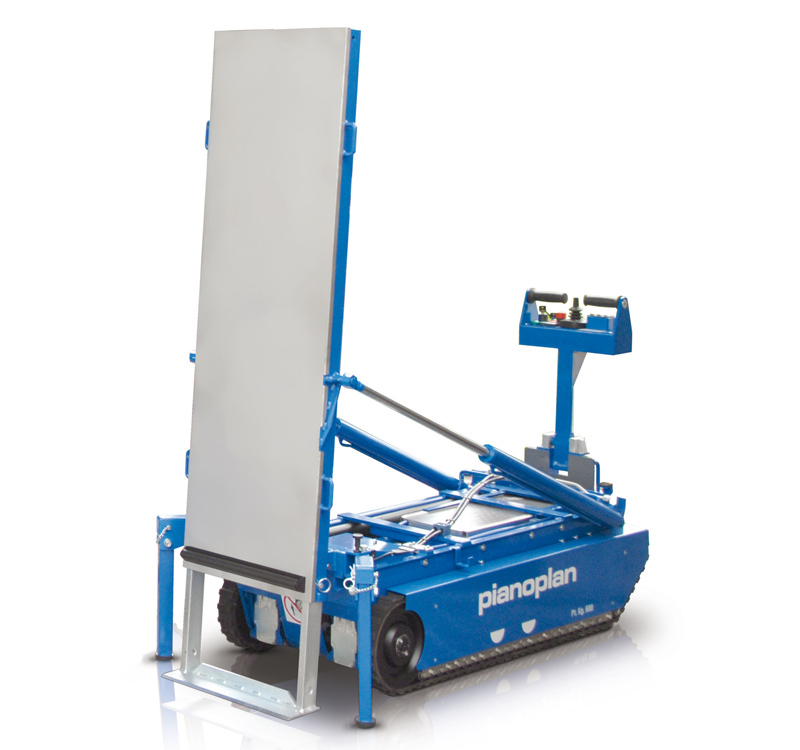 PIANOPLAN endeavors effortlessly and with one operator makes the work you did before with four workers. I can therefore say that in a few months the purchase of PIANOPLAN made me return the investment made.